I think you all know by now how much I love nail polish. I'm always looking for blogs to help fuel my obsession and educate me on which colors I need next. That's where blogger Stephanie Merlin of Imperfectly Painted comes in. Imperfectly Painted, which just celebrated its third blogiversary, features fantastic swatches of brands like Hard Candy, China Glaze, OPI, Nails Inc. ... and more of course! I really love all of the indie brands Stephanie showcases as well. Read on to find out which cuticle cream she can't live without, the dry shampoo she loves and so much more. I was born and raised in Dallas, but have been living in Orlando for the past 6 years. I'm currently working on my B.S. in Social Studies Education. I would love to eventually teach high school level world history and art history. I live with my boyfriend and our solid gray kitty Chara. This is a complex timeline. My recent interest in beauty started back in 2007 when I started watching beauty gurus on Youtube. This led me to the website MakeupAlley, where I was really intrigued by the nail board. I realized how affordable, fun and easy nail polish was and instantly got hooked. I started following nail blogs in 2008, and in 2010 I figured why not start my own? I actually had my blog name figured out months before I started my blog. I noticed many of the nail blogs I followed had amazing swatches and nails, and I was scared I could not measure up. I did not want to set myself up for criticism or any expectations. I also have struggled with perfectionism in many areas of my life, but nail polish was that one thing I could just let loose with. I wanted to maintain that carefree and laidback feel I had just doing my nails with my blog, so Imperfectly Painted was born. Well, I think your nail polish swatches are so great! What are your favorite nail polish brands and/or colors? What makes them stand out for you? I think my favorite brands and colors change by the season. I'm always discovering new brands and colors that catch my eye so it is hard to narrow it down. I will say lately, Essie has really been a favorite of mine. I am loving their spring and summer collections with crisp and bright colors. Cult Nails has high quality nail polishes with a great selection. I also love how they really engages their customer base with social media. KBShimmer's glitter handmade creations are always creative and beautiful. My favorite colors at the moment are any of those soft and muted greens and blues. I'm also a sucker for any bright cobalt blue. 1) Badger Soothing Shea Butter Cuticle Care. This is a great moisturizer for your cuticles. I love how it absorbs quickly into your skin without feeling greasy or heavy. 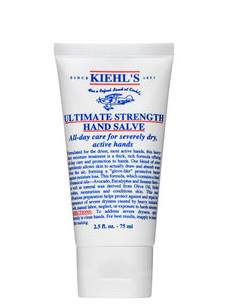 2) Kiehl's Ultimate Strength Hand Salve. This is an amazing hand lotion that works great on my hands and cuticles. This locks in moisture and keeps my hands hydrated all day. 3) butter LONDON Nail Foundation Flawless Basecoat. This is exactly like foundation for your nails. I've spotted some noticeable ridges on my nails lately, and this base coat covers them up perfectly. 4) Cult Nails Wicked Fast Speed Dry Top Coat. This dries super fast and gives me glossy shine. 5) Beauty Secrets Nail Polish Thinner. This revives any old thick or goopy nail polishes to an easy workable consistency. Let's talk beauty in general. What are your 5 favorite products? 1) Philosophy Purity Made Simple. This works great on my sensitive and oily skin. My skin feels balanced and fresh after cleaning with this. 2) It Cosmetics Bye Bye Redness Neutralizing Correcting Cream. I've always dealt with redness on my face, in particular my cheeks. This product instantly camouflages my redness. My favorite thing about this product is it is flesh-toned, which is a nice transition from green or yellow-toned redness products! 3) Ulta Tinted Lip Balm. I love how pigmented and moisturizing these are for lip balm. I'm basically replaced all my lipsticks and glosses in favor of these. 4) Batiste Dry Shampoo. I have oily roots, but I find washing my hair every day only makes it worse. This dry shampoo absorbs any oil in my hair while giving it volume. 5) Josie Maran Argan Oil. This is such a diverse product. I mix it in my body moisturizer and my face moisturizer for added hydration. I also use this on the ends of my hair to tame flyaways. It's great for cuticles too! I really like to explore art festivals, museums and galleries. I'm so not an artist myself, but I absolutely love art. My boyfriend and I have season passes to Disney World, so when we both have an afternoon or evening off we'll venture over there. I've also recently started volunteering at the local SPCA, working with the kitties, which is very rewarding. I'm pretty content with just surfing the web, reading a book and watching TV too! 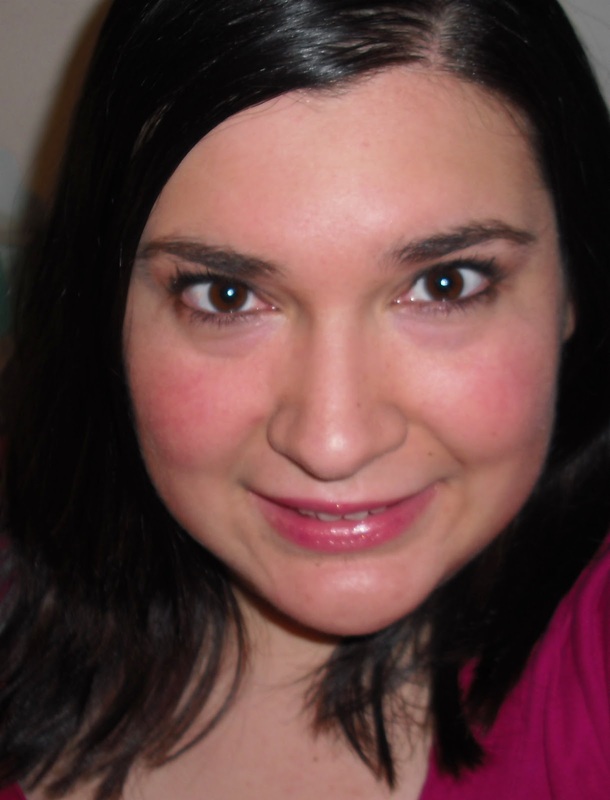 Be sure to check out Stephanie's blog. You can also find her on Facebook, Twitter and Instagram!